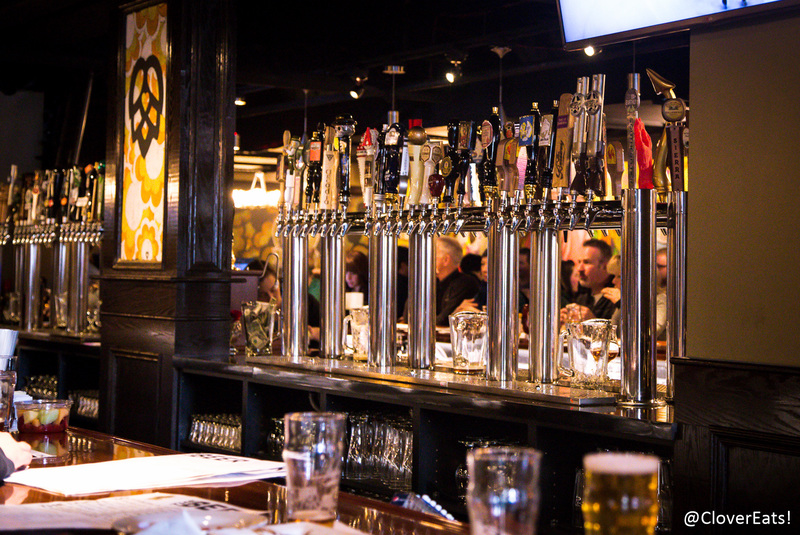 CloverDrinks: the new HopCat in Ann Arbor | Clover Eats! 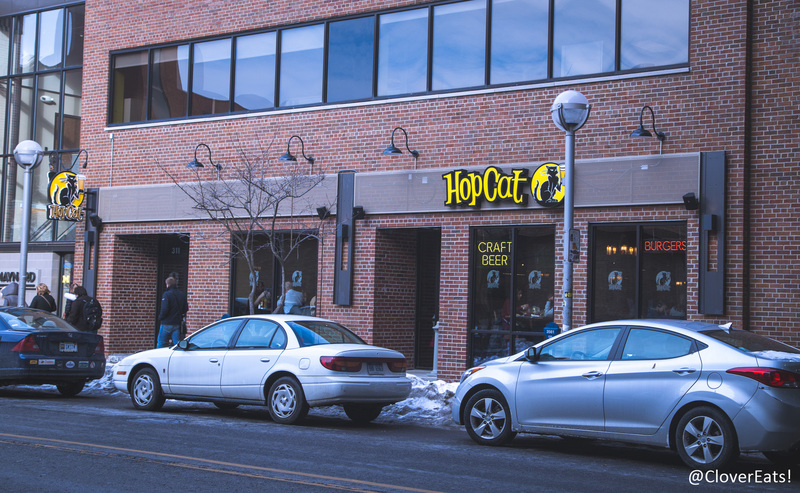 HopCat just opened this Valentine’s Day in downtown Ann Arbor, right across from the Liberty St parking garage. We visited on a Sunday afternoon, usually not a very busy time, but it was packed! It was cool that they texted you when your table was ready, a nice use of technology. Also, having ‘cat’ in the name, a picture of a cat, and therefore the ability to use cat puns in advertising (“Joint us for brunch right meow!”) is a nice bonus! The restaurant was a lot bigger than I realized, extending quite far back. It was a little crowded and noisy, but not so much that we couldn’t talk. 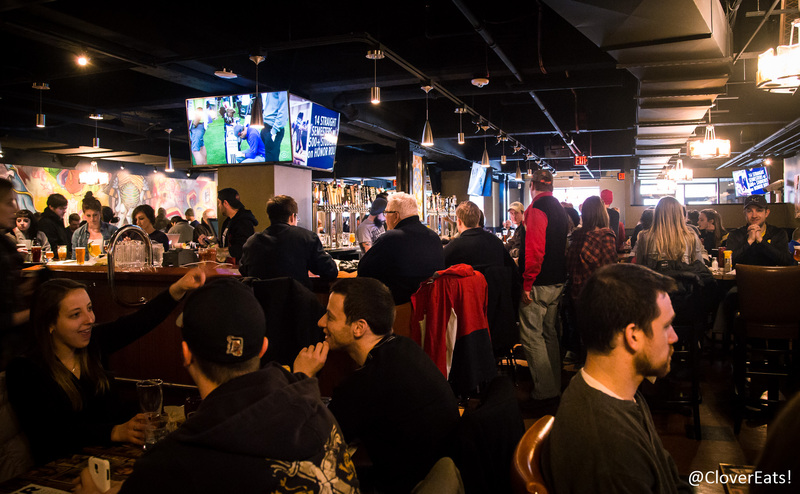 In the center, a huge bar with literally 100 beers on tap, 30 of which are local Michigan beers! 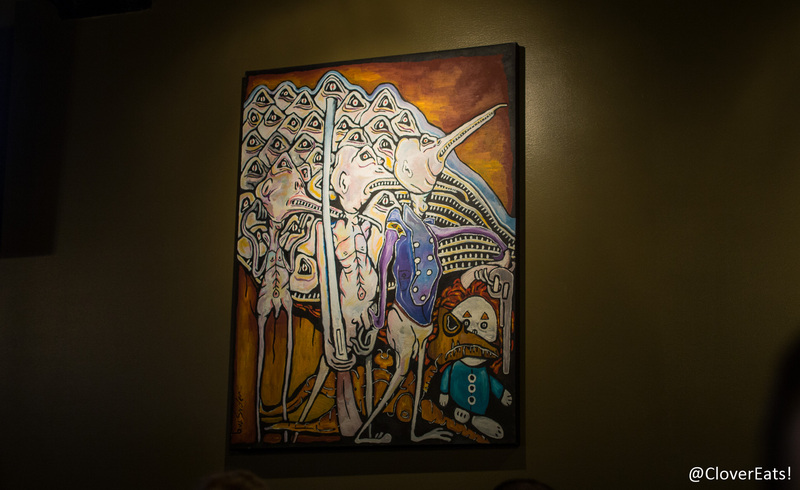 There were some disturbing decorations, however, and I eventually just moved to the other side of our table because this freaky painting kept looking at me. I’m all for interesting art, but please, not when I’m trying to eat. There was a ton of extra staff, and at first glance it’s hard to tell who’s a patron and who’s a server, since there’s no uniform and everyone was dressed quite casually. However, this meant that we got checked on all the time through our meal, and were never at want for something. 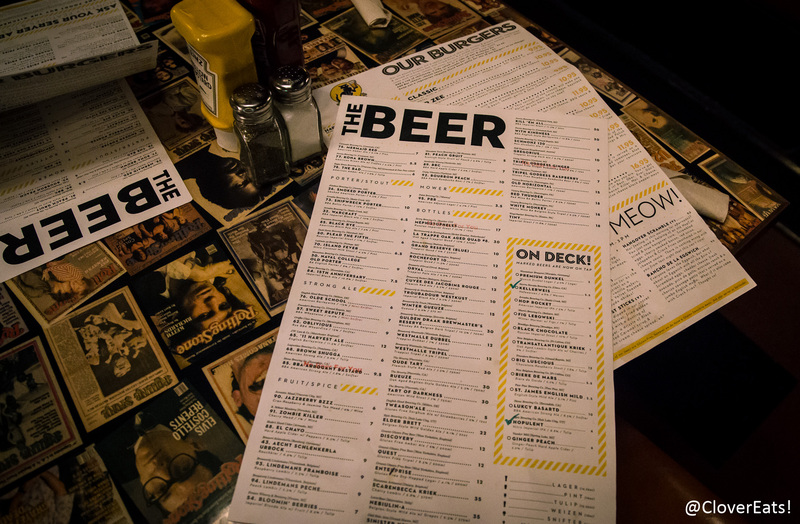 The beer list was quite lengthy, and when a list is this long, there’s always the fruity beers that I like. I got the Lindemans Peche, a peach lambic 13oz served in a tulip glass. It was incredibly sweet and light, just the kind of drink I like. 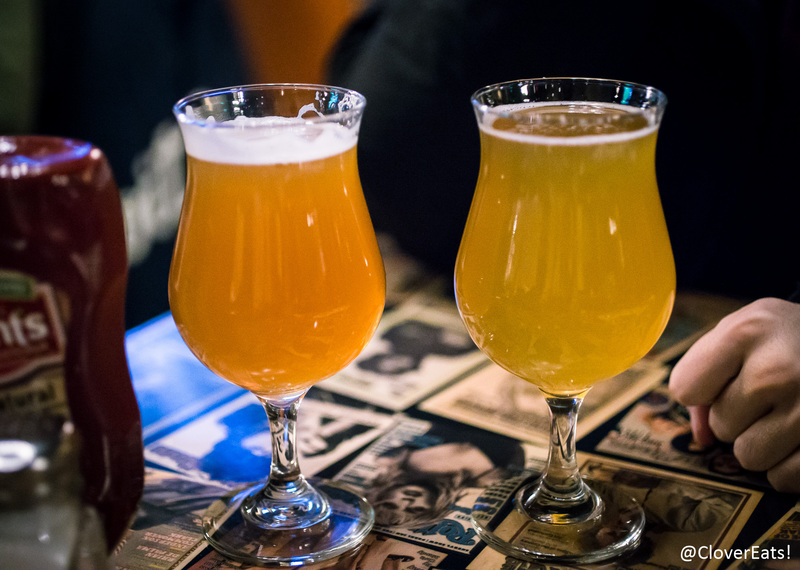 Fred got the Mr. Orange, a Belgian-style witbier. 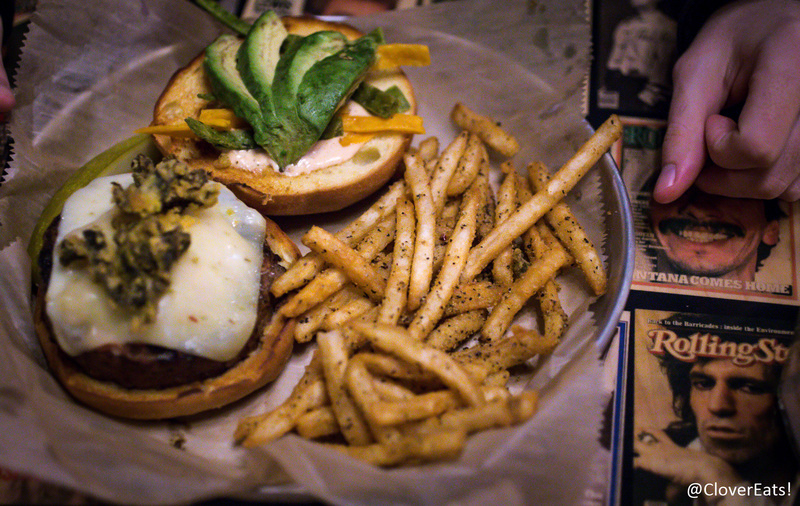 We each got a burger, which are made with a blend of short rib, brisket, and ground chuck. I got the intriguing Munster, which came with Polish sausage, chipotle muenster cheese spread, sauerkraut, and mustard. It was a really interesting mix of flavors, really unique and tasty! The ‘Crack Fries’ had a really spicy seasoning to them, that made them much more interesting than normal fries. I don’t usually bother with fries, but I munched on these throughout the meal. 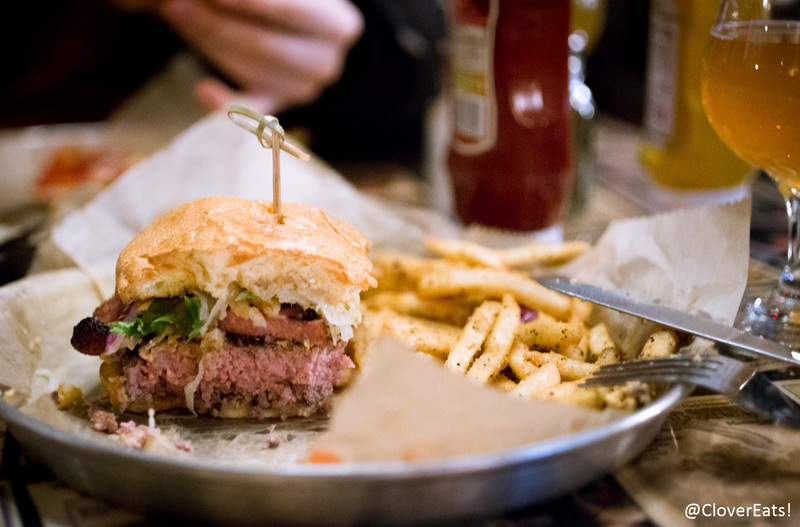 Overall, a great beer list, and some tasty burgers. It’s really hoppin’! I’m not kitten you guys! Check them out on Yelp or at their website.